Gopher Gold gives users a mining theme which is of high quality considering there are not many online slot titles with such a theme in the online casino industry. 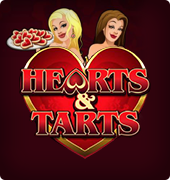 Microgaming is the casino gaming company behind the development of this slot title. 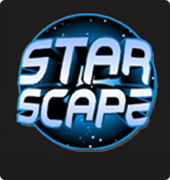 Veteran casino game players will remember the days when it was much simpler to spin a casino slot reel with this slot. It offers five reels and five paylines with pure action. 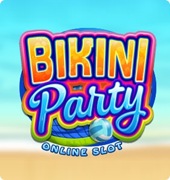 A lot of players love this slot because there is no bonus feature to interfere with the main gameplay. 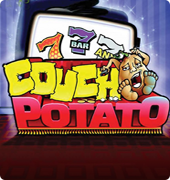 Unlike most recent slot game releases, you will not find any colorful background on gopher gold. This is because it is a much older release from the days when the symbols used to be a lot larger with no extra room on the screen to spare. Standard symbols are what players will find mostly on this video slot – the 10, J, Q, K and A. little cherry images are also available along with some exploding dynamite sticks, a pickaxe, a hurricane lamp, and a cart on rails containing gold nuggets. 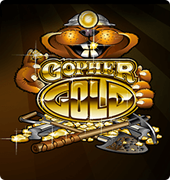 The Gophers Gold logo offers the highest prize and provides a 12000x multiplier on the five-stake of the active payline. A gopher surrounded by gold and kitted with a head torch is the wild symbol on this free slots. This wild symbol can substitute all reel symbols. This slot does not offer the bonus features option on this slot game. 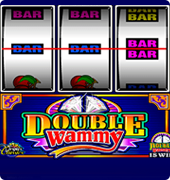 But it still gives players the opportunity to win more by providing winning lines which can run from either left to right or right to left – a rare feature on most slots. 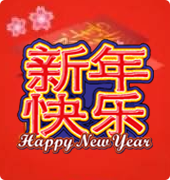 There is also the possibility of accumulating lots of small wins thanks to the five paylines to play on. Although it is quite old, gopher gold offers players fun and much simpler gameplay which is a good way to spend time.